Late next month, there’s a horror convention called Cult Classic Convention happening in Bastrop, Texas. If you’re not familiar, Bastrop was where some classic horror films were shot, including Texas Chainsaw Massacre, Texas Chainsaw Massacre 2, and Friday the 13th (2009)! 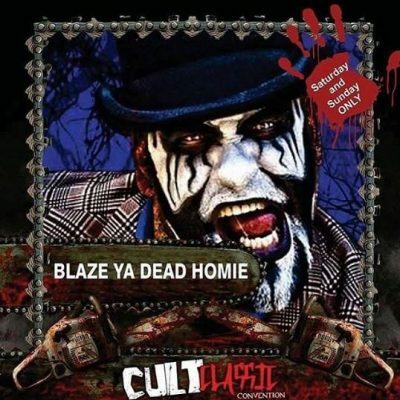 While much of this convention will be Chainsaw Massacre related, MNE’s Blaze Ya Dead Homie will be a featured guest on Saturday, September 29th and Sunday, September 30th of the event! The entire convention runs from Friday, September 28th – Sunday, September 30th and only costs $40.00 for a weekend pass! You can find out more and get your tickets at CultClassicConvention.com!